Inbox is all about convenience and efficiency. Every couple of updates bring some kind of feature that provides contextually relevant information or automates some action so it becomes fairly painless. The latest Inbox update to v1.18 contains some details that betray yet another one of these shortcuts: a direct method for modifying the sharing options of a file in Google Drive. The odds are good that if somebody uses Inbox, Google Drive is also a part of their workflow. Whether it's for business and document collaboration, or just convenient cloud storage for photos, Drive is readily available and easy enough to work with. But when you're on the go and need to share a document, the last thing you want to do is hop around between different apps. Inbox is going to make things a little easier by giving users direct control over sharing files stored in Drive. To be clear, this is not the same as an email attachment. Sending attachments merely makes a copy of an original file and sends it to a recipient, but Drive implements a permission model that allows a file's owner to grant other people access to view or edit original documents while they remain in the owner's Drive storage. As it currently stands, granting access to a file in Drive requires the owner to open the Drive app and manually add users to a list and set their access level, or simply set a file to be accessible to anybody with a unique link. 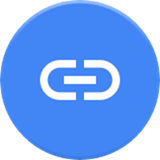 From here, the owner can choose to automatically send out an email to those users or copy (or share) a link to be sent through another app like Hangouts or Inbox. While this isn't exceptionally difficult or time consuming, it's a process that can be made easier. The strings above tell us that Inbox users will be able to compose an email, tap a button, and immediately choose a file from their Drive account to share with the recipients. This will automatically insert a link that points to the chosen file (or files). If the sharing permissions don't allow for one or more of the recipients to access the file, Inbox will offer to make the necessary changes automatically. The idea is to keep users from breaking their workflow just to change the sharing permissions on a file. Nobody wants to switch back and forth between apps to get something done. As a bonus, this also results in the best possible output for the recipients. Instead of sending a generic email from Drive when a file is shared and another written message to explain what it is, Inbox will wrap your message and the link in a single message so the two can remain together. Of course, it was already possible to copy the link and craft a single email by hand, but that's more work and has the potential for user error. This isn't the first time Inbox and Drive have been given ties to each other. A few weeks ago, the web interface of Inbox was given a new popup for attaching files–the list is populated by items that were recently viewed or added to Drive. But again, this was for attachments, not sharing documents. It's fairly certain that both the web interface will also gain this new capability to easily share Drive files. The final note about this new feature is how it will be accessed. There is a new floating action button (FAB) in the apk, though it doesn't seem to appear anywhere in the interface yet. It certainly looks like it will be used for initiating the sharing activity. There's not much to say about it, since it will probably just hover on the right side of the email composition screen. But now we know what to look for when this goes live. That's about it for now, but it looks like this feature is pretty much ready. It could go live with a server-side switch, but sometime in one of the updates in the near future seems a bit more likely.